What did the Buddha do after he awakened under the Bodhi Tree? 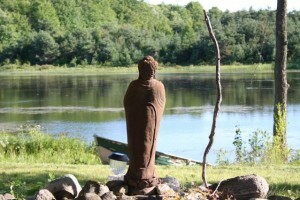 Images abound today of the Buddha sitting serenely and crossed legged. This image conjures this notion of peaceful serenity or nirvana. After his “enlightenment,” the Buddha gave his first teachings on the Four Noble Truths, which address all aspects of how we can apply the teachings in our daily lives. As a psychotherapist of sorts, he addresses how we need understanding into what causes our suffering, how we must learn to let go of those causes, how we need to realize what causes our happiness, and finally that there is a “path” or way towards freedom. 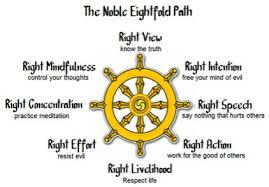 This path to freedom or “cessation of suffering” is classically known as the Eightfold-Path—Right View, Right Understanding, Right Intention, Right Speech, Right Action, Right Livelihood, Right Effort, Right Mindfulness and Right Concentration. “Right,” in this sense, is not right or wrong, but rather skillfulness. What do these skills mean to us, and how do we apply these ancient applications in our daily lives? Contact us if you need financial assistance; Everyone is welcome to join. Enter through the west side of the building downstairs leading to the group room. We are located between Huron and St George Sts, and a short walk from the St George subway. Practice and study from the comfort of your own space. We will be using Zoom to host this course live from 7:20 – 9:00 pm EST. There will be an option upon registration to indicate how you will be attending. Please plan to arrive promptly at 7:15. Sitting meditation instructions will begin at 7:20 for our first sit at 7:30. If you arrive late, please sit in the hall and join us for the walking meditation. The intention of this weekly class is to provide you with ongoing support to sustain and strengthen the benefits of your meditation practice, through the skills of mindfulness, compassion, equanimity and lovingkindness. Each session will include 2 sitting practices, 1 walking meditation, contemplative and theme-based teachings that are drawn from Buddhist philosophy and psychology, and group sharing. With the option of attending the class virtually, the class invites you to deepen not only your shamatha (mental stability +concentration) skills, but also to explore bodhichitta (the awakened heart), where we learn to bring kindness towards our selves and our world that so needs our loving actions. Chairs will be provided for sitting practice, so bring your own cushion if you wish to sit on the floor. Mats are provided for underneath. If you have any special needs for practice, please let us know. 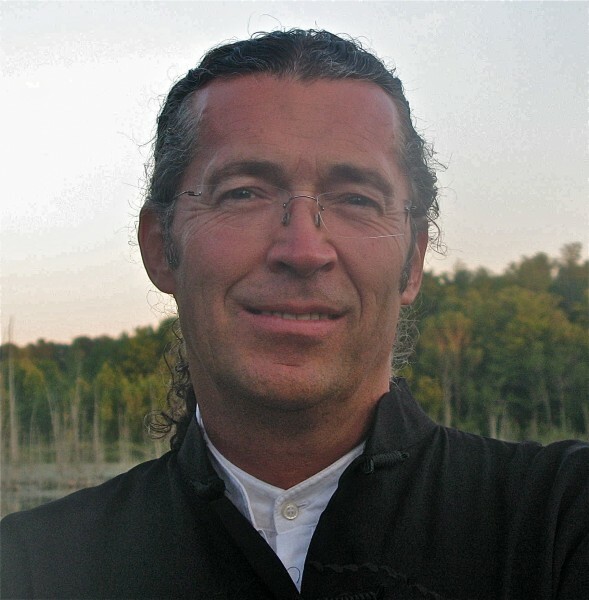 As a lay Buddhist chaplain and psychotherapist, Andrew began his Buddhist training as a teenager, and in his mid 20’s became a meditation teacher with the Sunray Meditation Society, under the guidance of his root teacher, Ven. Dhyani Ywahoo. The ground from which he shares the teachings has included years of sitting practice and study with Tibetan/Bhutanese teachers, including Khenpo Tsewang Rinpoche, His Holiness the Dalai Lama, and Khenpo Karma Rinpoche, as well as training in End-of-Life caregiving and later becoming ordained as a chaplain with Roshi Joan Halifax in the Zen tradition. An avid student of Buddhism, he is passionate about bridging Buddhist philosophy/psychology into our daily lives as Westerners and to find the skillful means for transforming our obstacles, where he draws upon his work as psychotherapist. For the past 15 years, he’s been developing training skills for those in the healthcare and end-of-life care field and in 2105 launched the Mindfulness + Compassion Certificate Training that is now offered at SickKids Hospital in Toronto.